Keeping up with exterior maintenance is critical to your home’s long-term health. With good exterior maintenance, you can keep your home in great shape year round. 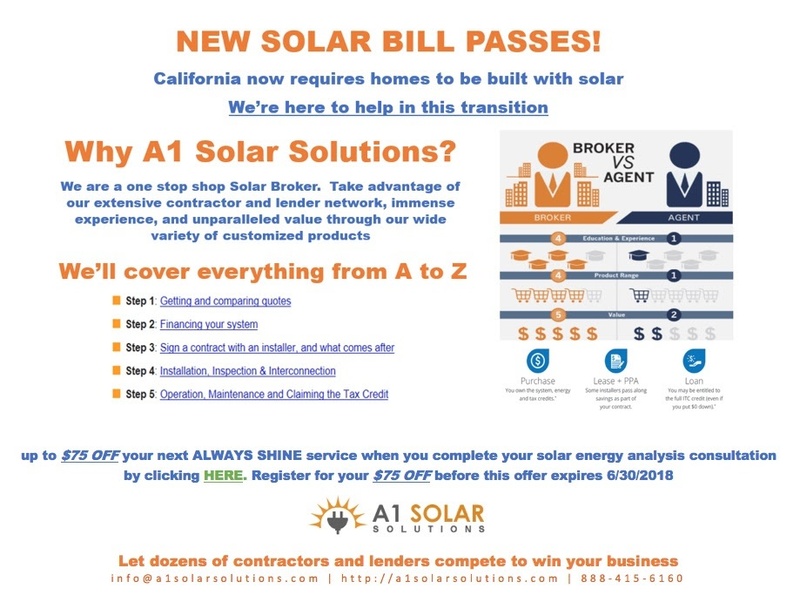 We have a special addition this month – some excellent information on solar from our friends at A1 Solar! Below you’ll find some of the recommended exterior maintenance items. Good news…Always Shine can help with ALL of these! Clean gutters: Gutters often get clogged with leaves, seeds, and other debris. This can lead to problems including overflow, mold, rot, pest infestations, and even flooding damage. It an also diminish the lifespan of your shingles and paint. While gutter cleaning is especially important in late fall, it is important year-round to keep your drainage system working free of cloges and to avoid damage. You should also inspect your gutters for damage and sagging and repair any issues. Clean your driveway and walkways: Your driveway and walkways are full of dirt, grime, mold, mildew, and toxins — and all of those can be tracked into your home and even cause slips and falls. Pressure wash your driveway and walkways, removing not just stains, but harmful buildup. Pressure wash exterior walls: Whether you have siding, brick, stone, or stucco, you’ll need to periodically pressure wash exterior walls to remove mold, mildew, and dirt. Doing so helps to discourage rot and makes your home look more attractive. Add Roof cleaning/moss removal to this list. 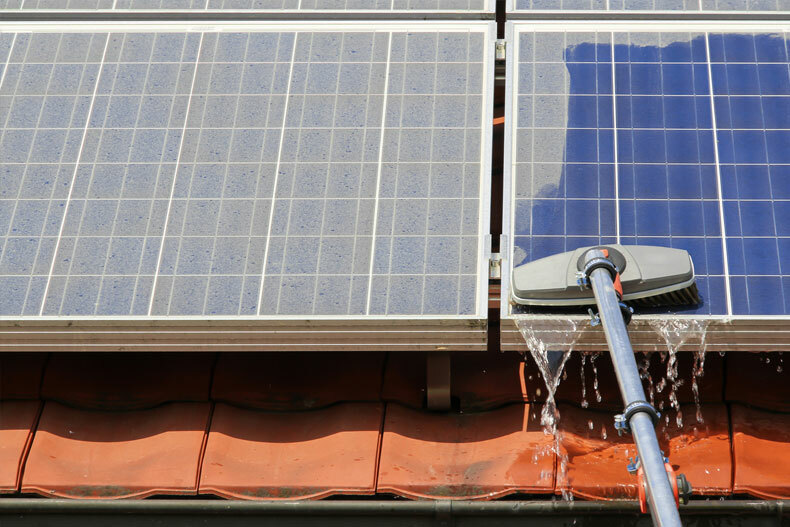 Solar Panel Cleaning: Solar Panel Cleaning is absolutely necessary if you want to maximize the return on your investment and keep your system shining brightly. Book one of these services in the month of June and receive 10% off! Book Now For 10% Off This Month!